There are several real delights on the top of Chosen Hill, and this circular walk of about one mile takes in all the highlights. 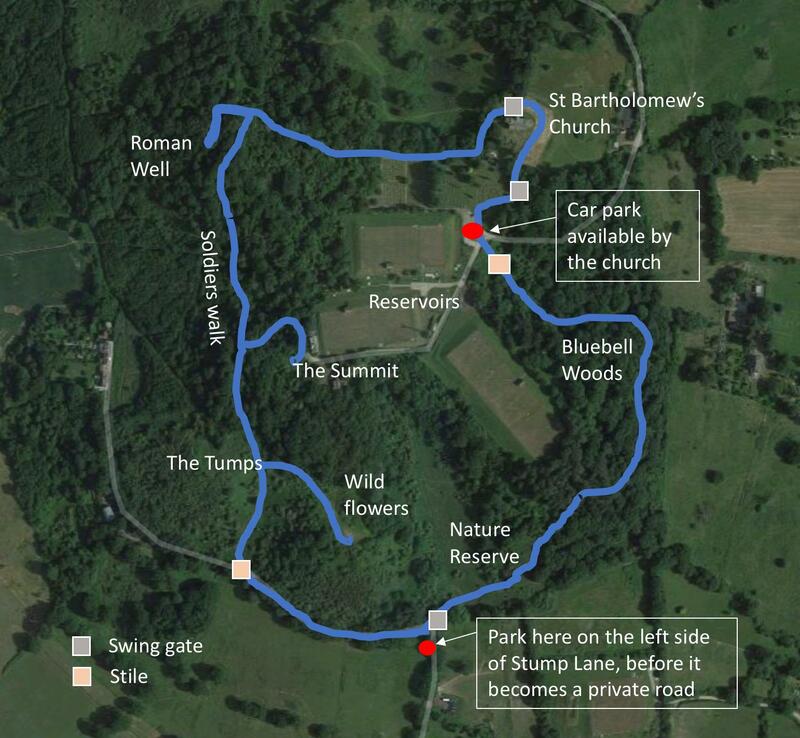 You could walk to the start up Stump Lane (off Churchdown Lane). Or you could park off Stump Lane where the road becomes a private track. 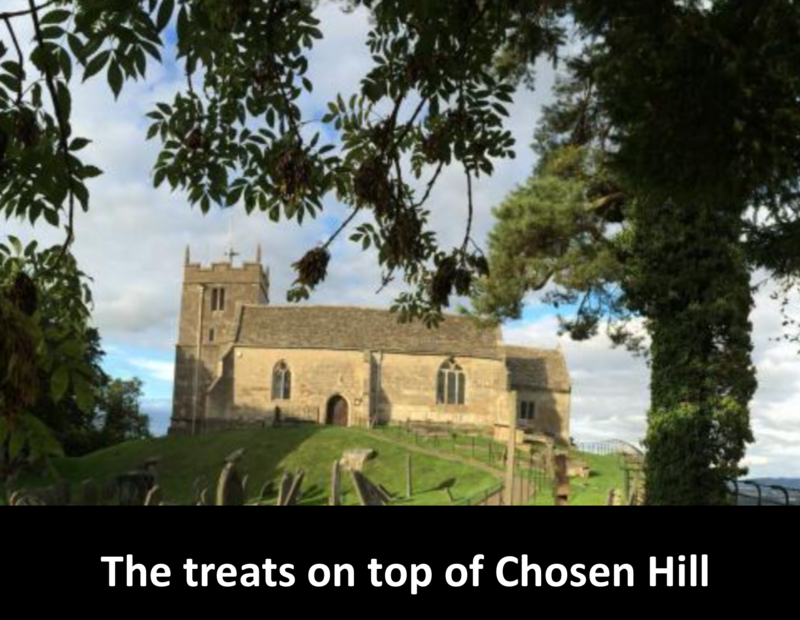 An alternative starting point is at the top of the hill itself– drive towards Churchdown and turn left at the mini roundabout (Green Lane) that goes up to the church, and then park there. The directions below assume a start at Stump Lane. •	Head off along the private section of Stump Lane for about 200m. You’ll pass a field gate on your right and soon after a footpath heading right, with some rough steps leading up towards The Tumps. Take this pathway up through the field to the gate, but don’t go through it yet – instead head to the left, and admire the panoramic view from the top of the Tumps. Return to the gate. •	Once through the gate take a quick detour to the right. After about 50m you’ll emerge onto a low hillock with excellent views to the south, over the motorway to the Cotswold escarpment and Coopers Hill. This hillock is a haven for wild flowers, especially orchids (they peak in June). Back track along the path to the gate again. 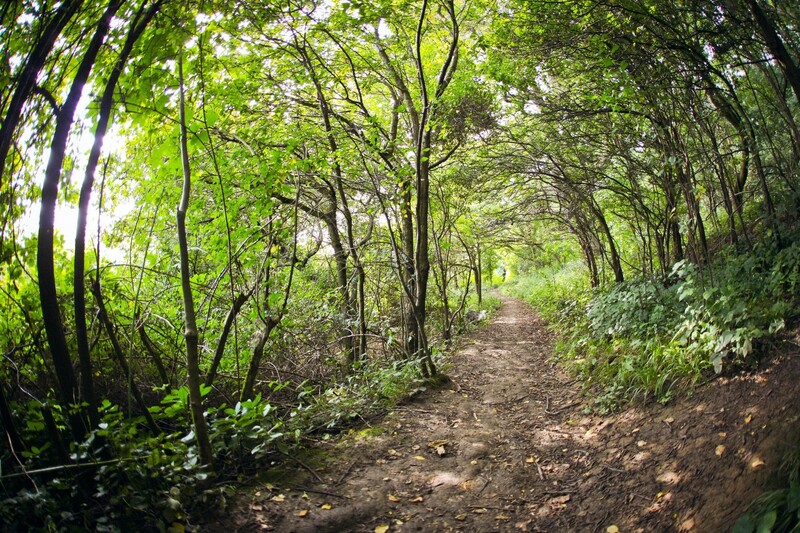 •	You should now veer to your right along a wooded pathway – for about 100 metres; and then head up to your right (there are some steps with a handrail on the right), and at the top of this incline go right again, up to the Summit. You are now more than 500ft up. 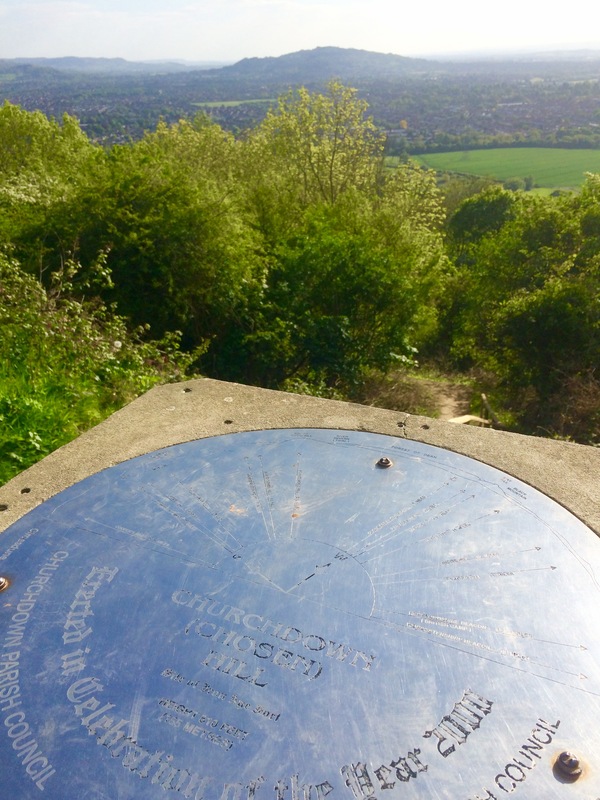 You should find the Trig point here with the steel disc on the top that helps you identify all the surrounding landmarks and hills. You again need to backtrack, down to the wooded footpath at the bottom of the steps, where you go right. •	You should pass a very bendy tree truck after about 200m. 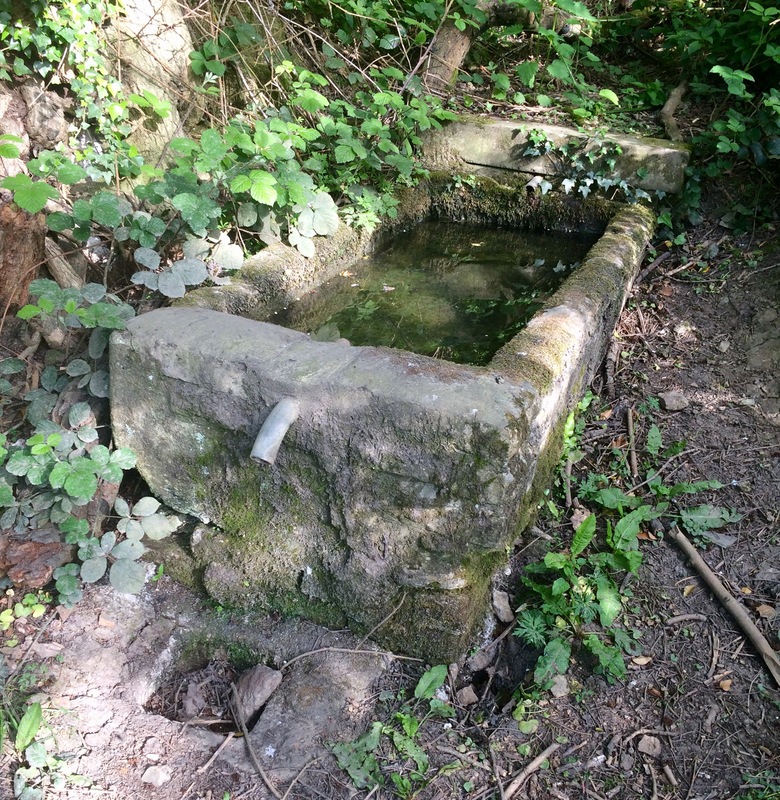 This is the spot where you need to veer off to the left (it’s hard to find any sort of path) to see if you can discover the Roman Well (also called the Mussel Well). There are reports that a faery funeral procession was once spotted coming through the entrance of the Iron Age ramparts and disappearing into the hillside at an ash tree by the Well. It’s tricky to find…but persevere! •	Assuming you did find the well head back up to the Soldiers Walk path again, and follow the path up through a ‘niche’ in the ramparts. You are now on top of the Iron age rampart. Head through the wood towards the church, passing the churchyard on your right. The path hugs the fence around the churchyard, with a wall on you left. You should find a gate on your right. Go through this gate and head up to the left of the church. 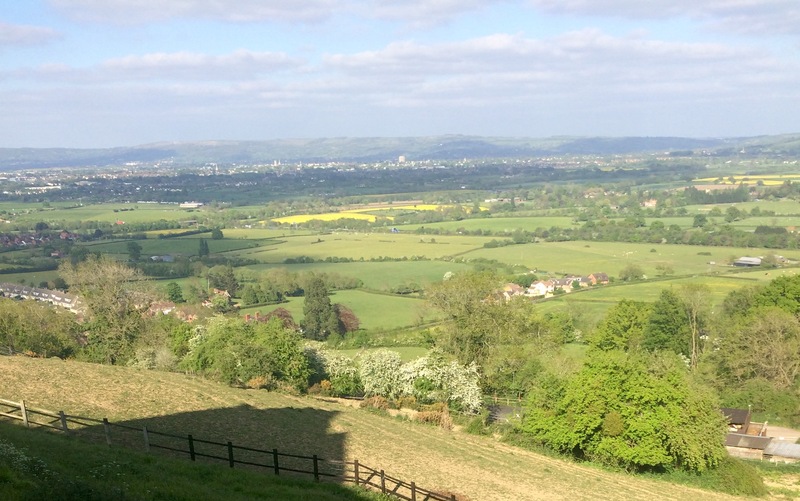 There’s a nice bench with a great view to the east over Cheltenham. See if you can spot the GCHQ building. 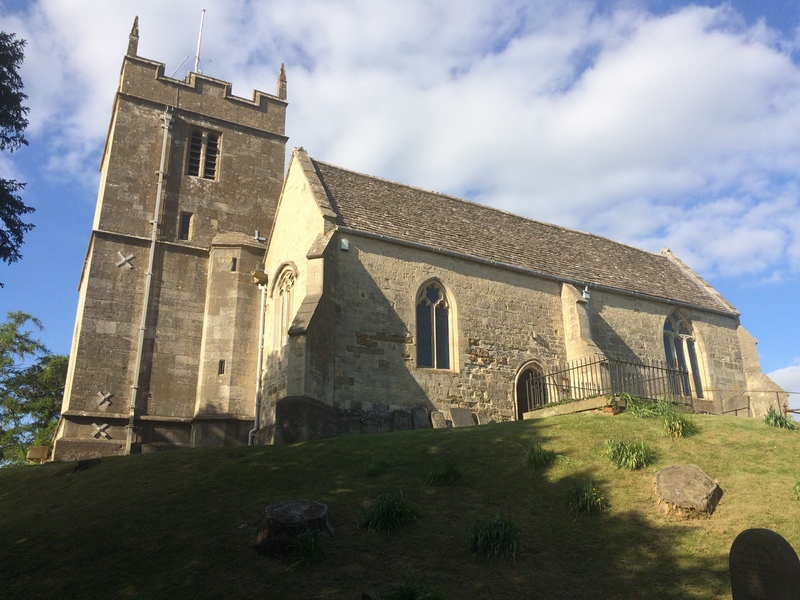 •	The Church itself is a Grade 1 listed building that dates from the 12th century. It’s usually locked, but it is open to the public between 17 April and 30 September on Saturdays and Bank Holiday Mondays (10.30 to 4.30). It is also open on the third Sunday of each month. Its lovely inside, with a medieval font, an oak pulpit from 1631, and a hidden Priests Hole (you can squeeze into it via a narrow spiral staircase). 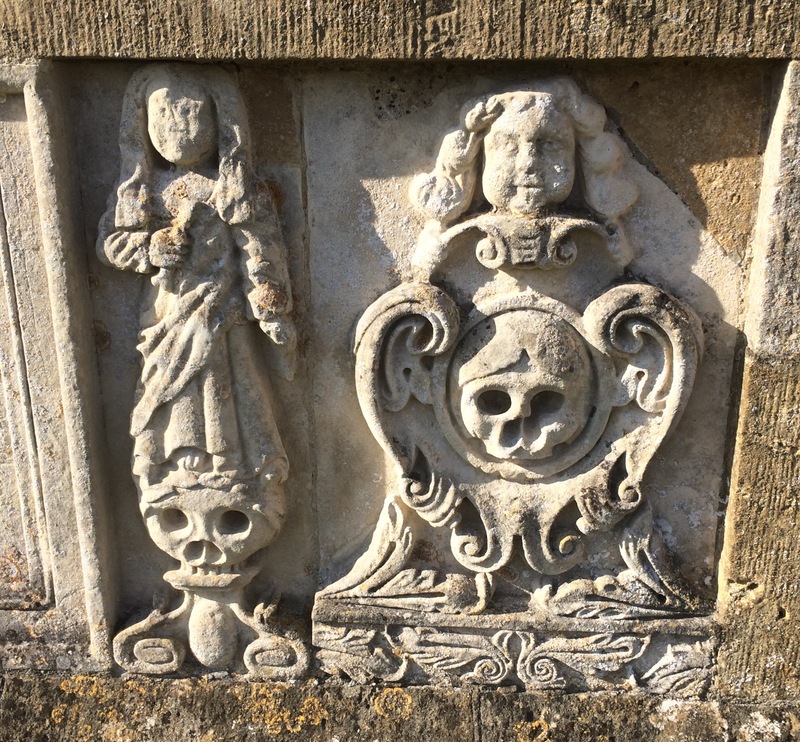 Look out for the skull and crossbones carvings outside the church. •	Take the path towards the car park. You then need to find the path that heads down towards the Bluebell woods. This is opposite the little grassy ‘island’ that doubles as a turning circle, and there are some power cables that are strung above the path. The path heads down, over a stile and there are gentle steps and a handrail. The bluebells (best seen in April/May) are everywhere. As the path levels out you need to veer to the right. Don’t take the stile over the metal fence into the field. •	It is quite common to see deer in this bit of the woodland, especially on the banks that will be on your right. The tall confers (Austrian Pines) at the top of the ridge were planted with in 1898 to commemorate Queen Victoria’s Diamond Jubilee. •	As you head towards the edge of the wood you should come to a stile that leads into a field. About 5m before the stile the path veers to the right – go this way (not over the stile), through a bit more woodland, until you pop out into a field that’s quite overgrown with nettles and brambles. 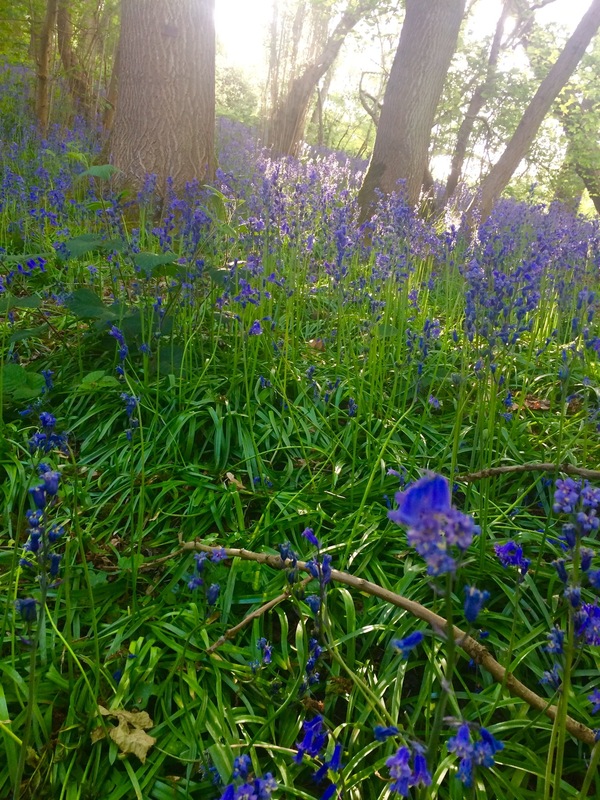 This (and the bluebell wood) are all part of the 28 acre Chosen Hill Nature Reserve. 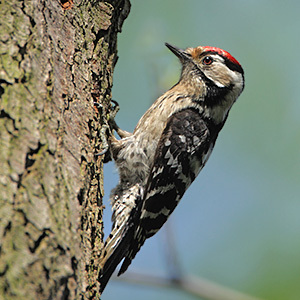 It’s a haven for all sorts of birds – from woodpeckers to owls. •	The path then leads you back to Stump Lane. When it’s dry the walk is easy; when it’s wet it can get very slippery.